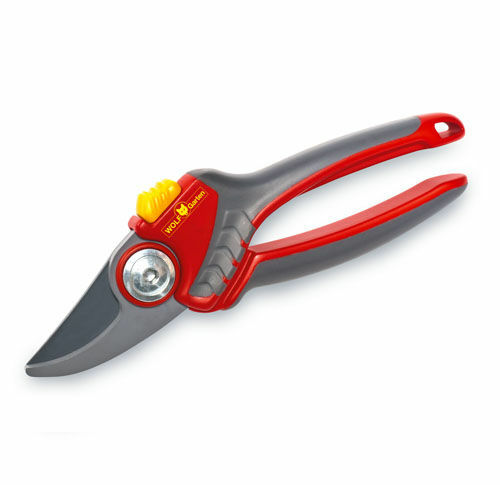 These secateurs are premium high quality without going over the $100 mark! Great value for money and last you decades in a domestic setting. Bypass cutting system equipped with the 30 degree cut provides a system that delivers a clean cut so the plant heals quickly and makes it easier on your hand too. Being able to cut 22mm in diameter means there isn't much in your backyard that you cant get too. The non-stick blade also delivers a well rounded blade tip. notably the complete blade lever on these secateurs can be replaced as a spare part! So if it gets damaged or after years of use is worn out, instead of buying a new product all have to do is purchase the blade! Once again it is backed by the 10yr guarantee provided by Wolf Garten. Buy quality, buy Wolf!